Date of accession not determined. The collection consists of a single item, a scrapbook, the contents of which are arranged chronologically. John Hess Foster was born on 24 August 1891 in Swatow, China, the son of Rev. John Marshal Foster and Clara M. Hess. Foster’s parents were both missionaries in China for the American Baptist Missionary Union before their marriage and the family maintained strong contacts with the country for most of their life. Foster attended and graduated with a B.S. degree from his father’s alma mater Colby College in 1913 and in the fall of the same year entered the Medical School of the University of Pennsylvania and received his M.D. 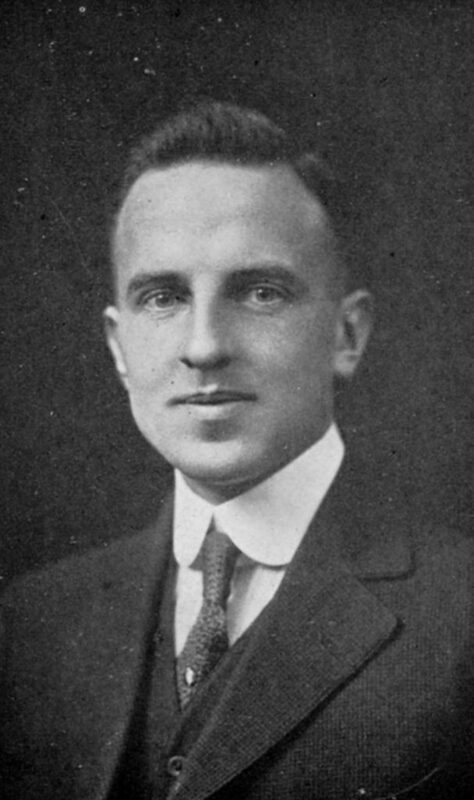 degree in 1917. After graduation Foster joined the Medical Corps of the U.S. Army and served as a first lieutenant in U.S. General Hospital Number 14 at Fort Oglethorpe, Georgia until his discharge in 1919. Foster decided to follow his parents and to return to China with his wife and infant son to work in Yale’s medical school in Changsha. He remained in China until 1927 serving on the staff of Hunan-Yale (Hsiang-Yu) Hospital. On his return to the United States, Foster worked as a physician in Waterbury, Connecticut until his retirement in 1972. He was active in civic organizations in Waterbury. Foster died on 2 March 1985 in Lewisburg, Pennsylvania. John Hess Foster’s scrapbook documents the beginning of his career in medicine as student and new doctor as well as the beginning of his married life and family. The documentation is primarily in the form of photographs, mostly snapshots, programs, tickets, newspaper clippings, notes and letters. 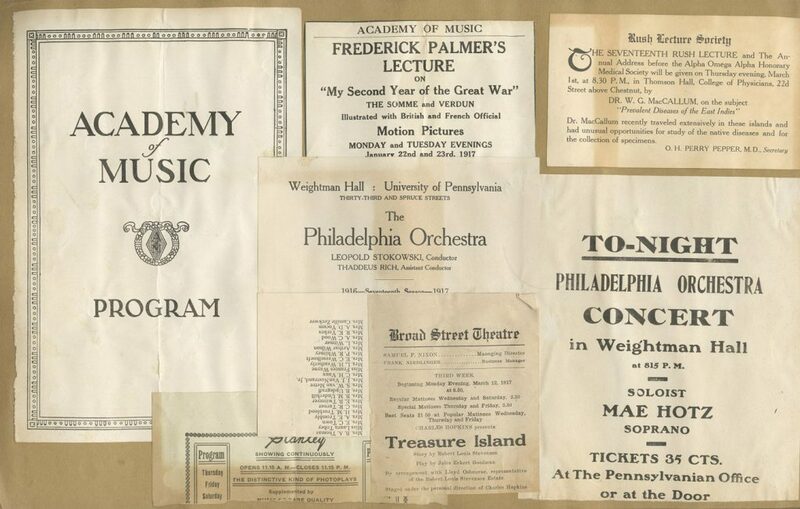 The majority of the scrapbook is devoted to Foster’s time at the University of Pennsylvania as medical student and details not only the various social activities, such as the fraternity, student association, and athletic events, that he attended but also his medical work at the University Settlement House of the Christian Association and the Southeastern Dispensary for Women. 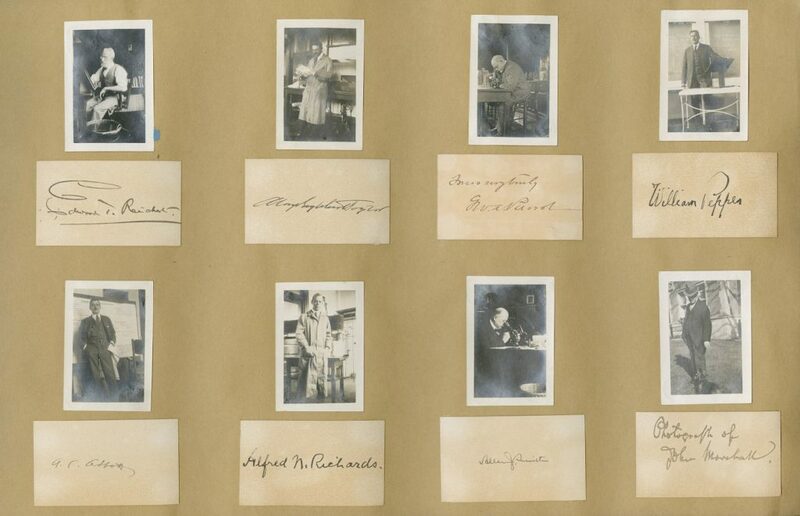 There is a collection of individual snapshots with autographs of faculty (primarily posed in the class room or laboratory) and fellow students at the School of Medicine. Many of these snapshots were used as illustrations in the 1917 medical school yearbook, The Scope, for which Foster was the photograph editor. The remainder of the scrapbook contains photographs of Foster’s life as a newly wed and young father and time at Colby College. There is a group of photos and postcards from Bar Harbour, Maine as well as informal family photos at Fort Oglethorpe, Georgia and Nanking, China in 1919-1920. The end of the scrapbook contains formal portrait photographs of members of the Class of 1913 of Colby College. 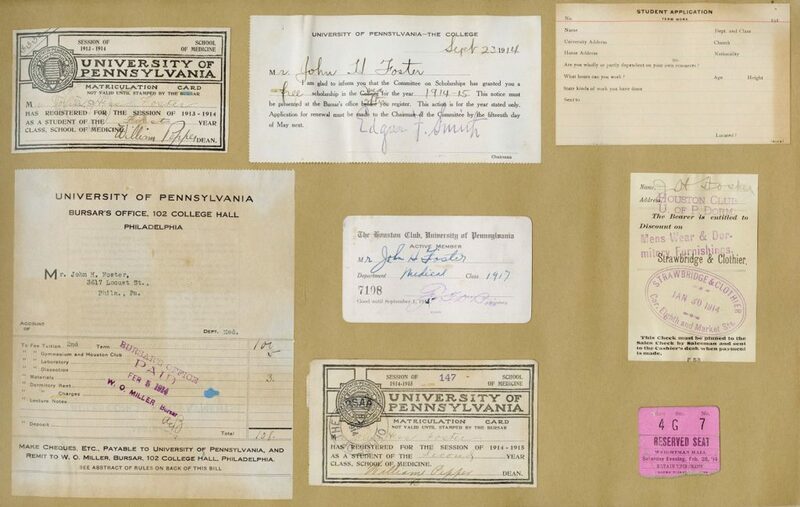 Related material regarding John H. Foster, such as diaries for the years 1918-1919, can be found in the Foster Family Papers in the Divinity Library Special Collections at Yale University. Christian Association (University of Pennsylvania). Southeastern Dispensary for Women (Philadelphia, Pa.).